Changes happen every day. And they often happen when you are not ready to receive them. When I arrived at the dôjô on Saturday at 11am for Senô Sensei’s class, I was surprised to see Someya sensei waiting for me at the door. Hatsumi sensei has asked him to replace Senô Sensei who was not available for a few days. Sôke told him that I had to replace him (Someya) for his 02pm class. So I changed my plan accordingly and gave the class. I had to reorganize my day afterwards. 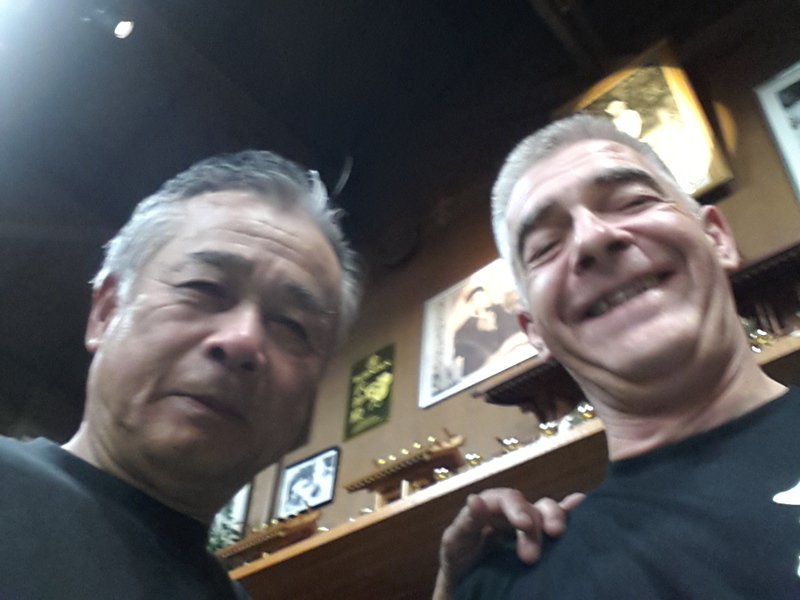 On Sunday after Sensei’s class at the Honbu, Sôke invited a group of 15th dan to come with him to Yoshikawa city to visit a shop selling old swords, yoroi, makimono, and other things (see the photos in my latest album on Facebook). So I changed my plans accordingly and spent three hours to see those nice old pieces of Japanese history. To change is not always based on your decision, it is something that is often imposed to you, but to accept it when it comes gives you the ability to rearrange your perception of things in order to meet the unexpected. This is the real adaptation taught by Sôke in his classes. When you change your plans, it is often because something potentially better is offered to you. And even if sometimes the “better” is not visible at first, be positive about it, accept it, and go with it, there is always some rewards at the end of a change. Changing is in fact the best opportunity to discover new things. Changing puts you out of your daily routine, and if this change may appear negative, think of the new lessons you are learning while changing. Isn’t it after all the true meaning of “Shikin Haramitsu Daikomyô”? Tonight at Noguchi sensei’s class his taijutsu had changed totally. We were training some of The Takagi Yôshin Ryû techniques. The names of the techniques remained the same but his movements were totally different from the same techniques I did with him so many times before. But the Kaname (4) of each technique was there, only the interpretation of this kaname was different. I learnt a lot tonight and this is exactly what changing is about: it is about learning and improving. You always have to be ready to accept changing even if it goes against your beliefs. Tonight during training I saw some students sticking to the old forms instead of accepting as a gift what Noguchi sensei was demonstrating. And it was sad as it was the proof that some high ranks are not real shihan (2). Changing the form of a technique is the real feeling that one must develop in the Bujinkan. If you accept to change then your body will not be trapped into the routine of the form and become able to adapt freely to different situations. Every time you change you enter a new 範列 hanretsu, a new paradigm where the values that have brought you here have to be redefined, modified, and sometimes discarded or forgotten. A real shihan 師範 (2) is the one who, beyond his rank, is able to create those shifts in the waza and to lead the students into a new world of understanding. He is someone to follow, this is the idea of “retsu” in hanretsu (3). And remember that the kanji for “example, model” (2) is the same in hanretsu and in shihan (“shi” is teacher). You say the truth. Tonigth I was sad when I saw somebody who has been living here for 20 years, telling another Shihan: “I know so well the technique, I’ve been living here for 20 years…” Noguchi Shihan had an small change (adaptation) and this guy was trying “to correct it”… And I thougth: “Is it possible that someone, after so many years didn’t learned anything?”. Sorry to my post. It’s only my opinion. After 20 years many people learn nothing.These are the people who can never teach properly as they cannot adapt and so will have no true feeling of the art.The can only mimic what they are shown without a true understanding. Thank you for you posting Arnaud.